My top 7 sketching pens of the year ! 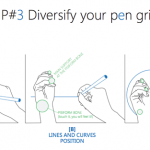 Top 7 Sketching pens of the year ! Below I share with you my personal impression from a Product designer point of view. 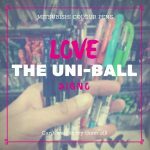 MUJI 0.25: One of the thinnest pen i ever tried. Great flow. Zeebra Z-1 S 0.7: The black ink is deep. Pilot Frixion Ball 0.25: Erasable ink. Awful to draw with. Doesn’t slide well on paper. The ink is grey. I use it for some detailing only. Pilot Frixion Ball 0.5: So promising, but disappointing for sketching (great for writing). The pen pressure is awful. The ink is grey. Pilot G-Tec-C 0.4: Awesome ! Perfect size of pen and tip. Nice flow of ink. The black is deep. Pilot Green Techpoint 5: I didn’t felt comfortable with that pen. I couldn’t draw with it with a light hand. 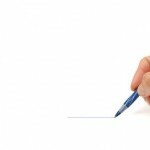 If you want to know some tricks about ballpoint pen, you may have a look at: Tips you should know about ballpoint Pen. Stabilo Stylist: Great with colour markers (popular among Product designers). Note that the tip is fragile and tend to reduce quite fast. Pilot Twin marker: I mostly use the thin tip. Good quality, but the ink reserve doesn’t last very long. Sharpie Permanent Marker Ultra thin point: The size of the tip is in between both tip of the Pilot twin marker. Just nice. Artline Calligraphy pen: I bought this pen for playing with the line weight. I prefer using brush. Kuretake: The tip react like a brush. It bend slightly with pressure. Love it ! However, it dries very slow, and I tend to make a lot of stains with my palm hand. (bought at Tokyu Hands). 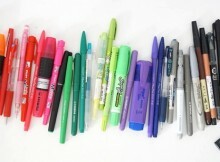 Just a picture of my pen collection. Honestly I don’t even use quarter of it. Most are “toys” that I often get bored with then reuse them days or months later. The Frixion Ball Slim 0.38: I use it for details sometime. Kuretake, from Fudegokochi: Love it !! This brand is not easy to find I guess. Wonder if pilot pr other established brand do something similar. Pilot G-Tec-C , Maica 0.4: Nice and constant flow, good pressure sensitivity for a gel pen. I love the tip size slightly thinner than the standard 0.5. Papermate FLAIR M: More reliable than markers, good medium size tip. That’s my Discovery of the year ! 4 of the above pen are new to me. I tried new things, new styles with them just for fun. At the end I stick to the basics using pen such as the Paper Mate, Pilot Twin markers, Stabilo stylist and any ballpoint pen I could find. Only the Kuretake might become one of my basic. If you are beginner, I do not recommend you guys to play around too much. It will just distract you and slow down your progress. Ok ? As soon as you find a nice pen, stick to it. You could even buy a pack of them on Amazon. How about you ? 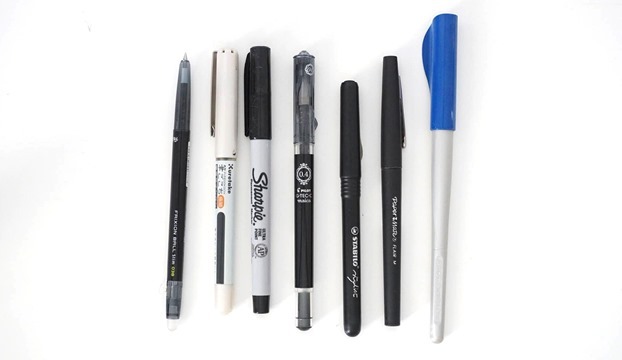 What’s you favourite pen for Design sketching ? I just started using bic ballpoint pens to draw. What kind of pens or paper produce the best photorealistic effects? I am new at sketching with a pen so most of this year has been spent finding the right pen for me. I have gone through dozens of pens and my favorite so far has been the Zebra F-701. I love the stainless steel barrel, it gives the pen a nice weight. Also I love the the ball point, I think 0.7 is best for me and the ink flows well and evenly. I also dab it on a napkin every once in a while just in case. Two other pens that are worth mentioning. One is the Zebra Z-Grip Flight which has a 1.2mm point and writes super smooth but sometimes the ink globs up. Also its lightweight, I prefer a heavier pen. This pen is great for writing or doing lettering, maybe even bold detail lines but I’ve not used it for that. The other is the Pilot Precise V7RT which has a fine point (also come in extra fine), writing is super smooth and rarely globs up. It weighs a bit more than the Z-Grip flight and is acceptable to me. A great pen for doing linework and lettering. Both pens also look great. As much as I like these, I have just not been able to sketch well with either. I just have been control of my line weight with the F-701. Maybe it’s because of the type of ink but I am not sure. I am still a novice so there is lots for me to learn. I love the blog and read it all the time. Thanks and keep up the great work! Thank you for sharing your discoveries. I checked your pen reference on Google, the Zebra F-701 looks really nice for a Ballpoint pen :). It’s normal that you can better control your line weight with the Zebra better than the Pilot Precise V7RT. The pilot is a gel pen, so the ink flow much faster than a ballpoint pen, and take a bit longer to dry. May I recommend you to carry on with the Zebra at start playing with the pen pressure. Buy a couple of them, and draw only with this pen. You can put one in your bag, and one in your pocket to get ready to draw anywhere, anytime. 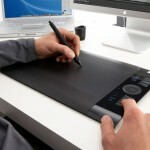 Use it for writing and drawing as well. That pen will be your best friend ahah. Sometime you can switch to the Gel pen, you should see your lines naturally get better as well.